"There isn't work or anything. 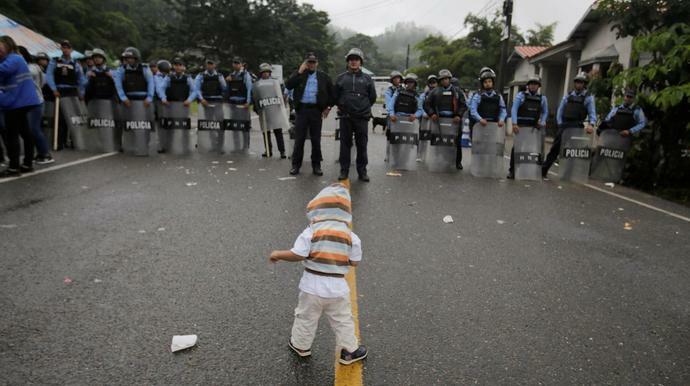 You can't live in Honduras," Jennifer Paola López, a 16-year-old farmworker, told the news outlet. "There isn't money. There's no help from the government. There's nothing." Trump has no plans to allow the migrants to set foot in the U.S. He threatened to seal the border on Thursday to prevent the entry of "MANY CRIMINALS" from Central American countries. He also threatened to cut off aid to Honduras, Guatemala and El Salvador.